Welcome to the first challenge of the year at the Squigglefly challenge blog brought to you by Team Rhonda's Rowdy Rascals! 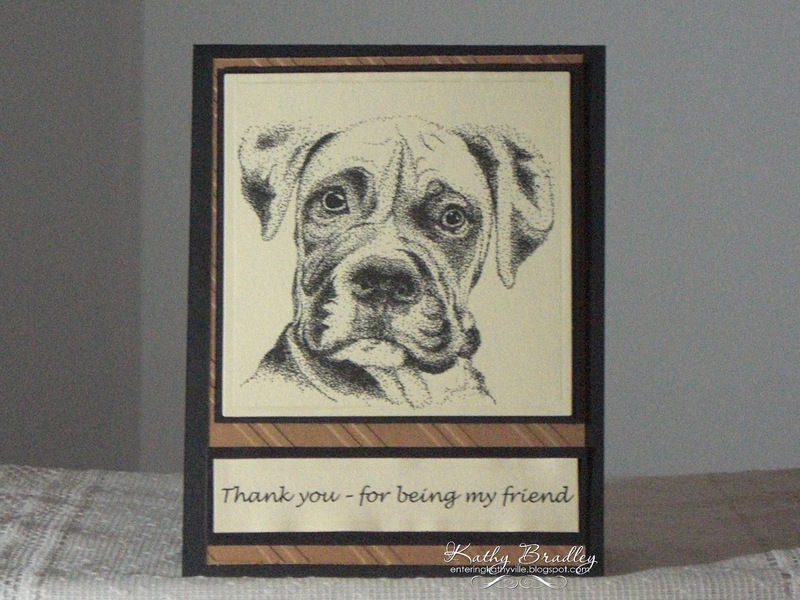 The theme of this challenge is to make a "thank you" card and to use some type of embossing. Remember, there is always a prize to the weekly winner! 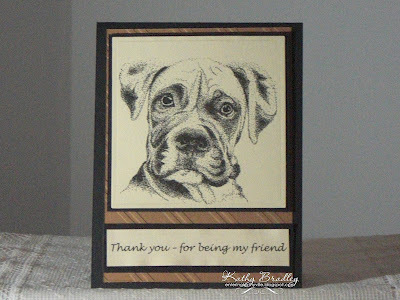 I used an image from a brand new artist at Squigglefly - Enid Barnes - shoe draws such gorgeous animals!! Please check out her new collection - as well as all the new images at the Squigglefly shop. Thanks for stopping by - and sure hope to see you at the challenge! Love this Kathy! Great sentiment! I think this would be great for any dog lover - and the paper and layout you did would make it especially great for a guy. love your card Kathy!! Such cute new images!!! This dog really looks like he is saying thank you -- fabulous! Great card, Kathy. I too got a dog image to play with that I'll be posting later this month. They are all awesome! ahhhhhhhh this is a cute and fabulous card Kathy. Miss you Kathy! I hope you are feeling better! Sending prayers and hugz!!!!! Giant ones. Hi Kathy, I've sent you a couple of PM's over at SCS but I haven't heard from you. I tracked down your blog and I'm leaving a message here hoping you send me a quick note. Miss you over at Teapot Tuesdays. Awesome emotion in that pups face!!! Wonderful card!